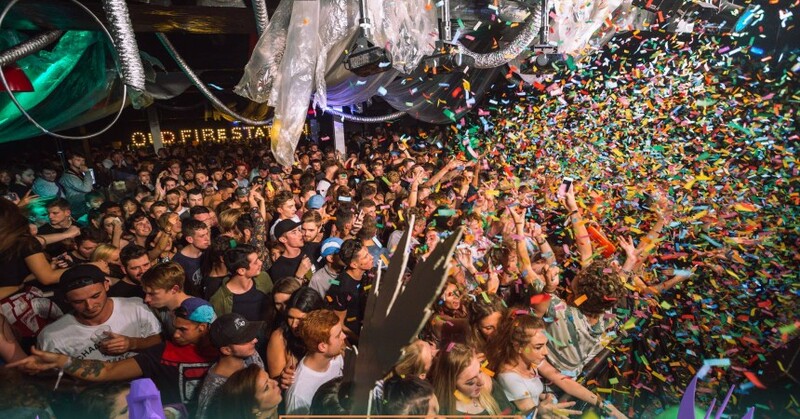 One of Bournemouth’s best dance music nights made it’s return to the new academic year with a stonking opening night last weekend at Bournemouth University’s Old Fire Station. Foreverland has embedded itself in the town’s clubbing scene since it began over eighteen months ago, playing host to a number of big name DJs, producers and artists with a series of events. 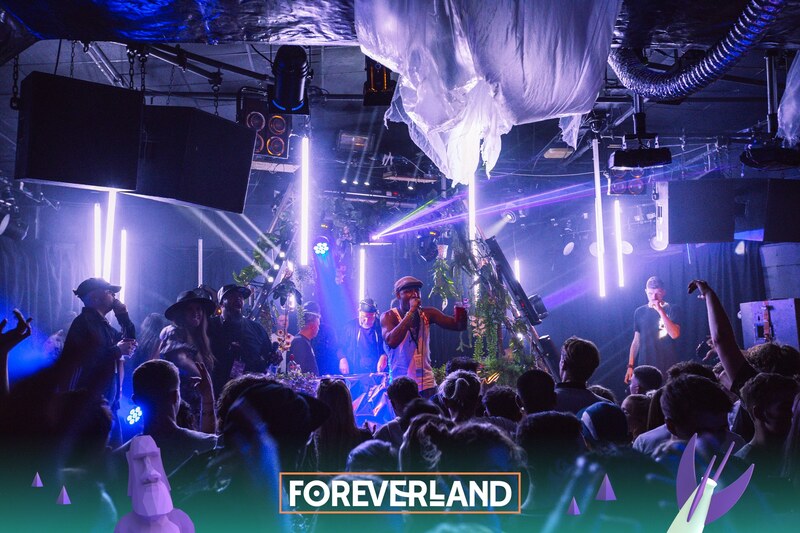 Past acts at each Foreverland night have included bassline master DJ Q, bass-heavy producer Flava D, house DJ The Golden Boy, BBK’s grime DJ Preditah and many more. Setting itself apart from other events, Foreverland has created a central theme around their events; offering a range of creative content in the form of ball pits, bouncy castles and ice cream. 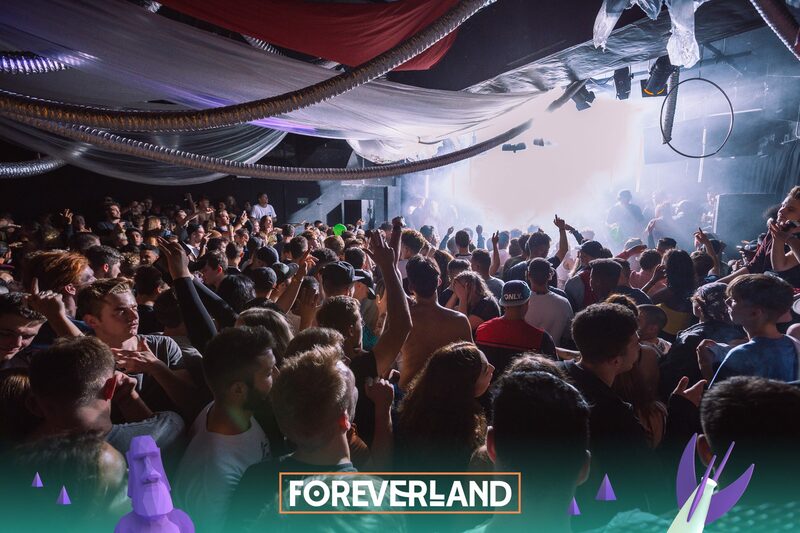 Foreverland’s ethos is all about bringing out your inner child and having fun, all while listening to some of the best underground bassline, garage and grime music the UK has to offer. 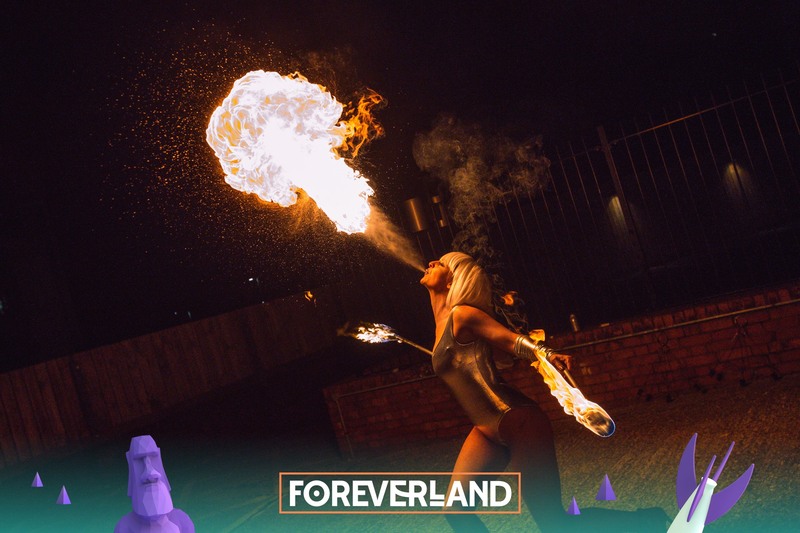 This edition of Foreverland has seen organisers upping their game using different production techniques and varied themed decor to give the night an alternative feel and vibe from the last. This creates something new and means no two Foreverland nights are the same; always leaving punters wanting more. Being dubbed ‘Galactic Garden’, Foreverland worked hard on making the Old Fire Station look the part – silver pipework draped down from the ceiling making you feel as if you were on a spacecraft with on-stage dancers dressed in lights and metallic costumes adding something special to the space theme. Not to mention the fire breathers that greeted you when entering. As for the music, the Foreverland crowd was graced with the likes of bassline master producer Chris Lorenzo, supported by London grime MC AJ Tracey, as well as Southampton DJ foursome Foor and South London producer Skepsis. Chris Lorenzo has made his name as a producer writing a number of big dance tracks for other artists including Hannah Wants’ ‘Rhymes’, as well as being one half of bassline duo Cause & Affect before leaving in 2015. We saw Lorenzo perform at Boomtown this year, rocking Banghai Palace in the early evening. DJ quad from Southampton, Foor, have done extremely well in the last twelve months playing multiple high profile gigs including the new south coast day festival Soundclash. AJ Tracey is one of London’s top grime MCs, and has provided support for a number of big DJs. Skepsis has also made waves in the underground music scene recently with a number of bass-heavy releases that definitely should be listened to by underground music lovers. Kicking off the night was Bournemouth’s very own Neffa-T. Neffa’s garage and grime-influenced sets has made him popular with Bournemouth students and locals alike, and makes him a great choice of warmup artist for any Foreverland night. Neffa-T had support from MC Skydro. Hailing from South London Skepsis certainly showed how its done, playing varied, energetic set keeping the crowd entertained from minute one to minute sixty. Skepsis’ unique mixture of bassline and garage made for a dynamic and rugged set. As before with Foreverland events, half an hour was dedicated to grime with a vigorous set from AJ Tracey. Tracey has made a name for himself in grime music, so far releasing two EPs, and at Foreverland offered a welcomed break from the heavy bassline. Tracey played his own material and proved just how exquisite grime can be linguistically. Next up was Southampton foursome Foor. Foor offered the night some exceptional garage, playing their own tunes including ‘Soldier’ and their own bassline remix of Stomzy’s ‘Shut Up’, as well as some certified bangers like ‘Bound 4 Da Reload’ by Oxide & Neutrino. Chris Lorenzo, as always, did not disappoint. Lorenzo’s performance was on point dropping some special songs including his very own ‘The Calling’ and some big bassline tracks like My Nu Leng’s ‘Underground Traffic’. It wasn’t quite like watching him on a colossal stage at Boomtown, but shutting your eyes and listening to the beat it almost felt as if you were there. This shows Chris Lorenzo’s talents and his consistent mixing ability that makes him such a great booking at a smaller venue like the Old Fire Station. To finish the night Foreverland resident Taim took to the decks. Rising star Taim runs an events company in Bournemouth named Elysium. He now has a residency with Foreverland too, and has shown off his ever-growing popularity. The DJ ended the whole night perfectly, navigating through his very own bass-heavy set, dropping even more dirty tunes for everyone to enjoy. Keeping the good vibes flowing, Taim made perfection until the very end note. Foreverland: Galactic Garden proved once again why it is sitting comfortably at the top of the popularity list for Bournemouth events. It is a haven for ultimate fun; top quality underground dance music from some of the UK’s best and brightest producers coupled with a sense of adventure and happiness. “Immaturity is advised!” See https://www.facebook.com/theforeverland/?ref=br_rs for upcoming Foreverland events near you and for more information and tickets.